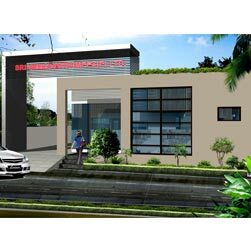 Situated at Ludhiana (Punjab, India), “Sri Neelkanth Impex Private Limited”, was established in the year 2012 and over the years it has gained recognition as the most prominent manufacturer and exporter of an outstanding quality range of different kinds of Hammers Hand Tools, Bearing Pullers, Pliers Hand Tools, Plumbing Tools, Garden Tools, Lubricants Hand Tools, Machine Tools etc. These products with there accurate dimensions, high strength, durable finish, easy installation, robust design and resistant to corrosion is effectively serving numerous industrial purposes. We are a brand to reckon with, as our products are designed and developed by strictly complying with the standards of quality followed at the universal level. We are scaling towards new heights of success in the market by capitalizing on our advanced infrastructural base that has all the requisite facilities to cater to the bulk and imperative requirements of our patrons in least possible time frame. The cutting edge technologies are brilliantly managed by our team of professionals and optimally used to craft our both standard and customized products. One of the most important parts of our infrastructure is our modern laboratory that is equipped with various latest quality testing devices. Our workforce is the indispensable part of our company that helps in efficiently carrying out our various business proceedings. High levels of dedication and committed approach assists our professionals in carving out a collection that includes products with customized attributes as well as standard options. These professionals keep tab on the changing requirements of the industries and accordingly bring out modifications in the features of our offered range. We truly realize the implication of quality in our entire range of products. Our extremely adroit professionals thrive hard to serve the best quality assortment. We manufacture these products using the best quality factor inputs and latest machines. A pool of adept quality inspectors individually check the quality of the factor inputs and also keep a vigil eye on the complete manufacturing process. Our company is proud of the fact that over the years, we have emerged victories in developing a grip over the exact needs of the clients thereby accomplishing absolute client contentment. We manufacture products in bulk so that these easily cater to the definite demands of clients that are spread all across the nation. Available both in standard and customized options, our products are excellent for variegated and precise requirements of many industries. In addition to this, we get amazingly flattering response from patrons for our premium quality products. Industry puts our company at respectable base due to our ethical business policies and crystal clear dealings. While having the support of our Managing Director, “Mr. Shiv Jindal”, we are growing exponentially in this industry. We strive hard to meet the ever growing demands of the clients. Trading, Importer and Exporter of a qualitative assortment of Hand Tools, Garden Tools, Cutting Tools, Lubrication Tools, Industrial and Machine Tools, Plumbing Tools etc. The concept of success and growth for an organization needs the support of a sound infrastructural base. This realization dawned upon us even before we made massive investment of both financial and human resources to develop solid infrastructure for our company. Our infrastructure covers a vast area of land that consists of diverse units like production, quality testing, packaging, R & D, sales & marketing, etc. Various procedures are organized in a streamlined manner in order to avoid any kind of discrepancy. Our organization works with a proficient team of professionals blessed with tremendous business acumen and comprehensive industry knowledge. These professionals put all their efforts to maintain consistency in our praiseworthy growth rate and sound financial position. We have recruited skilled professionals, who are conversant in developing products at par with the universal quality norms. Quality is examined carefully by our skilled quality controllers. We organize different training sessions and learning programs for our team members to keep them abreast from the latest development of the industry.